Kurt Angle's announcement may have bemused the WWE Universe and received a mostly negative response since RAW, but WWE are apparently "100%" on Angle vs Corbin at WrestleMania. Kurt Angle’s announcement on Monday Night RAW is still being met with negative backlash. He announced that his retirement match this April 7th at WrestleMania 35 would be against Baron Corbin. At the time of writing, WWE’s YouTube clip of the reveal is sitting at 14k dislikes and 5.7k likes. It’s safe to say that the WWE Universe is decidedly underwhelmed by this revelation, especially given Angle’s calibre, status, and history. Whether this changes due to their fanbases’ negative reaction is yet to be seen. The power of the WWE Universe has helped affect change in the past, such as Daniel Bryan’s journey to WrestleMania 30 and the current Kofi-Mania we are experiencing in the run-up to WrestleMania 35. Angle actually took his Instagram account to address the reaction to Monday’s announcement. With so many potential opponents available to him, and speculation circulating that he may have faced off against John Cena in what would have been a beautiful piece of narrative closure, it’s hard to debate the fan reaction. Given this is Angle’s retirement match, it becomes all the more understandable. 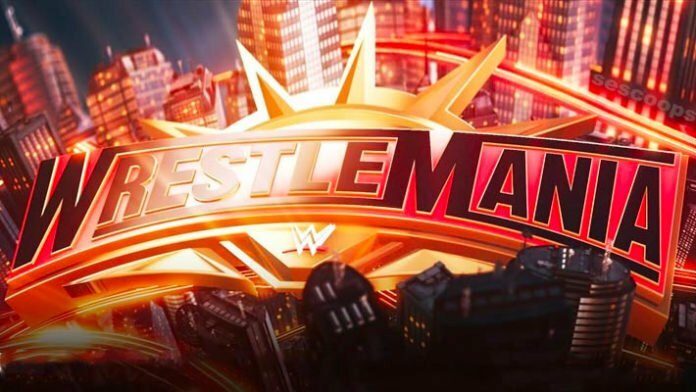 WrestleMania 35 will take place on April 7th from the MetLife Stadium in New Jersey. It is speculated to become the longest event in WrestleMania history.